Day two of “The Breakfast Club”, if you missed the first post you can read it here. The Breakfast Club features a recipe today by Madeleine Shaw called “Banana Breaky Bites”. This recipe will enliven your Saturday morning. Who ever said breakfast was boring? 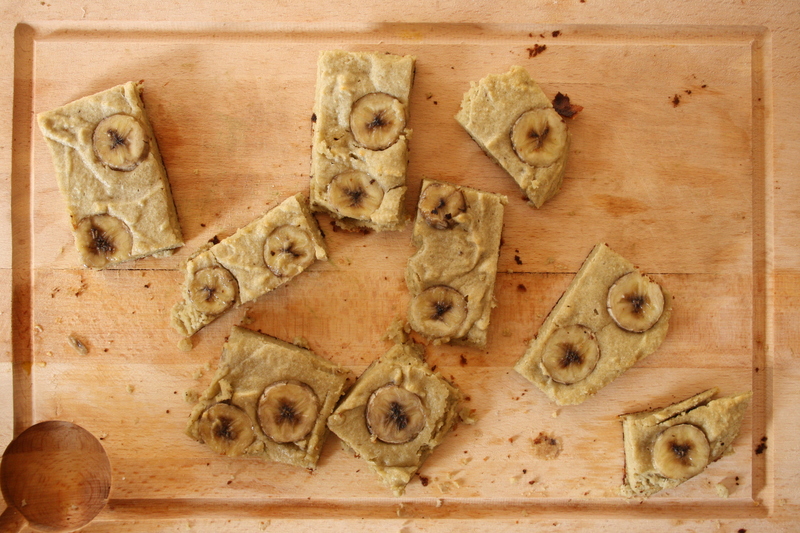 These banana bread squares are gluten-free, sugar-free and taste like heaven. I recently have started using yogurt in my cake recipes, it has been a great addition making them moist and fluffy. Yogurt is a huge part of my diet as it is full of beneficial bacteria that helps my digestive tract. Our bodies cannot digest and break down the protein or absorb nutrients from yogurt without the fat. Essential vitamins A and D are also fat-soluble. So you can’t absorb them from milk when all the fat has been removed. Our body is designed to eat whole foods, foods that haven’t been processed. Nutrients in whole foods have natural synergy with one another, so they are most beneficial when taken together. When you remove part of the milk/yogurt the nutritional profile is out of whack, so you discard all the wonderful nutritional benefits. Tip: You can make these the night before if you don’t have time in the morning and have them as an afternoon snack also. 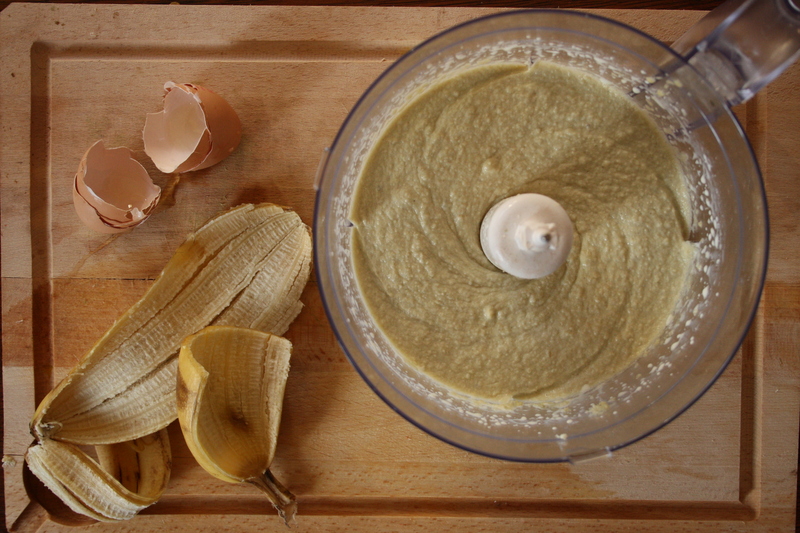 In a food processor blend the ground almonds, 1 banana (just the fruit) butter, eggs and stevia. Slowly add in the yogurt to the food processor, when it is fully mixed turn the food processor off. Slice the other banana into slithers. Grease a baking tray with coconut oil and evenly place the cake mixture. Place in the oven and bake for 10 – 12 minutes. Serve with some more delicious yogurt or fresh cream.